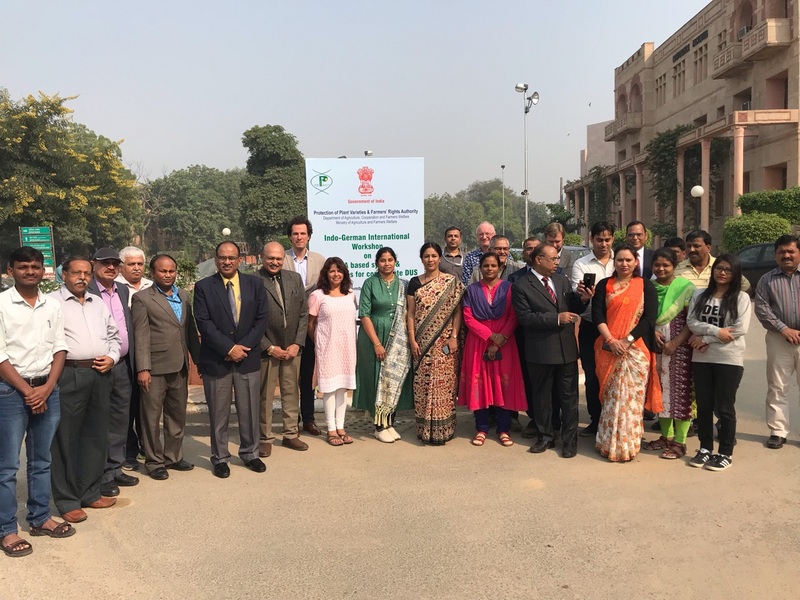 On November 20th & 21st, 2018 a two-day workshop was conducted in the frame of the project “Indo-German Cooperation on Seed Sector Development” in New-Delhi in cooperation with the Protection of Plant Varieties and Farmers’ Rights Authority (PPV&FRA) and the Department of Agriculture, Cooperation & Farmers Welfare, Ministry of Agriculture & Farmers Welfare in India to exchange experiences on the use of biochemical and molecular systems & techniques incl. DNA-Profiling in DUS-Testing. The project is part of the bilateral cooperation programme of the German Ministry of Food and Agriculture (BMEL) and implemented by the consortium of ADT Project Consulting GmbH and German Plant Breeders’ Association. Amongst others, the project is providing training on technical procedures and international standards for the registration and identification of new plant varieties. Technical partner in Germany in that area is the Federal Plant Variety Office (Bundessortenamt). The process to grant plant variety rights is based on the principles that applied when the International Union for the Protection of New Varieties of Plants (UPOV) was created in 1961; the morphological description of a set of pre-defined characteristics, and a new variety needs to be Distinct, Uniform and Stable (DUS). DUS-Testing is a way of determining whether a newly bred variety differs from existing varieties within the same species (the Distinctness part), whether the characteristics used to establish Distinctness are expressed uniformly (the Uniformity part) and that these characteristics do not change over subsequent generations (the Stability part). So far mostly morphological characteristics of plants are used for DUS-Testing. Since several years breeding of new varieties is more and more a matter of the use of molecular based breeding techniques. The classical crossing and selecting of plants, moved to marker assisted breeding, is where the crosses are checked on a molecular level to see if the desired traits are present in the cross. Therefore, there is a general feeling that molecular techniques are useful and may even be required to keep the quality of the DUS decision high, and at the same time, help to keep the costs of a DUS-Test reasonable. 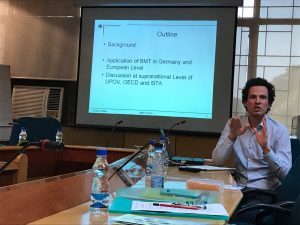 The participants of the workshop discussed in particular the regulative frame and trends in the use of biochemical and molecular techniques in DUS in Germany/EU Member States and India, the accessibility and range of marker technologies that can be used to compliment DUS-Testing and prospects for applications of genomic tools in registration and testing of new varieties. It can be expected that molecular information as such will become more and more part of the DUS process in future.